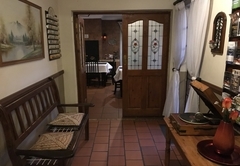 De Oude Herberg B&B is a Centurion Bed & Breakfast providing accommodation in 8 guest rooms for tourists visiting the Northern Gauteng region. 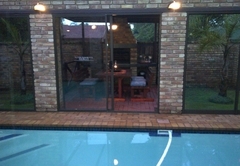 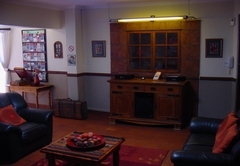 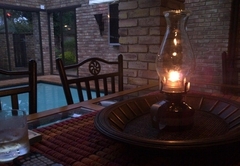 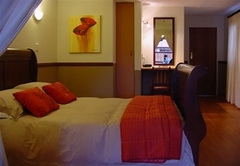 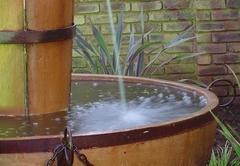 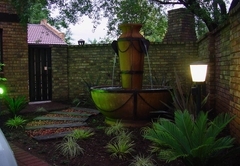 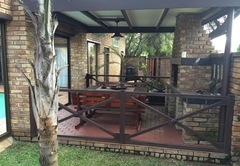 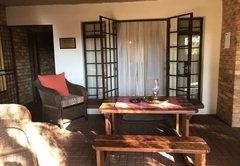 De Oude Herberg B&B is situated in the quiet suburb of Eldoraigne X18, Centurion. 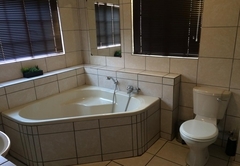 De Oude Herberg is situated within easy driving distance of the main routes to and from Pretoria, Johannesburg, Midrand, Krugersdorp and Polokwane. 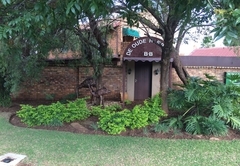 De Oude Herberg is just a few minutes away from SuperSport Park, the Centurion Mall, Unitas Hospital and golf courses, and within easy walking distance to Wierda 2 Shopping Centre, which caters for a wide variety of convenient stores, including take-away restaurants etc. 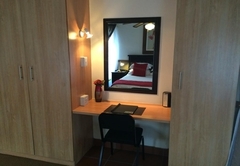 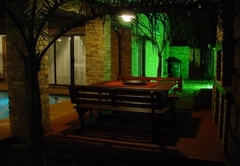 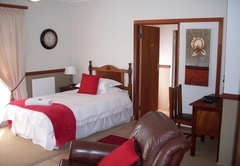 At De Oude Herberg you can enjoy luxurious accommodation at very reasonable prices. 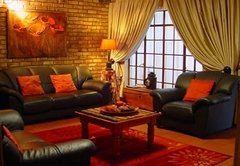 The atmosphere is intimate, stylish and warm, yet informal and cozy. 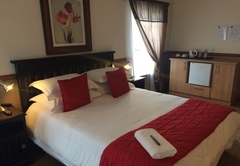 Our facilities are tastefully furnished, and our bedrooms are elegant, and comfortable, and are serviced on a daily basis. 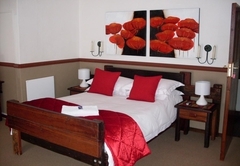 Our quality linen and mattresses also ensure a good nights rest. 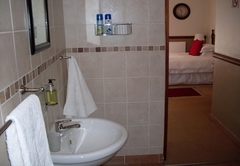 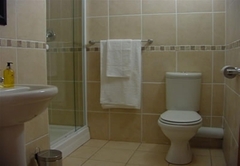 All our rooms have en-suite bathrooms with showers, and private entrances leading onto a covered patio, which is equipped with comfortable chairs. 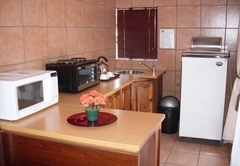 • A single designated secure parking area is available for each room. 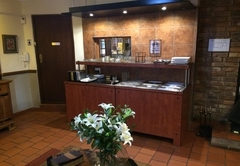 • The dining room facilities are available 24 hours. 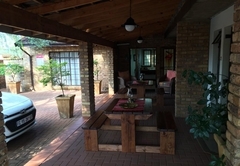 De Oude Herberg B&B has identified the need for transportation of our guests, to and from the surrounding airports and other attractions, in and around Centurion. 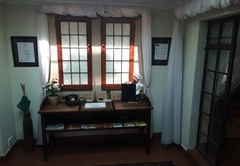 De Oude Herberg B&B utilizes a reputable Tour and Safari operator as a preferred supplier of our guest's daily transportation and transfer needs, tours etc. 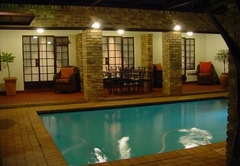 Our Shuttle Services will ensure that you reach your destination safely, in style and on time! 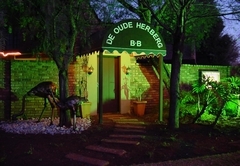 Response timeDe Oude Herberg B&B typically responds to requests in 5-10 minutes.